2.36 in. 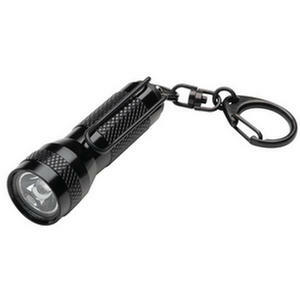 made of anodized machine aircraft aluminum casing in black. 100,000-hour white LED with a runtime of 96 hours. Takes 4-alkaline button cells. Weighs .9 ounce. 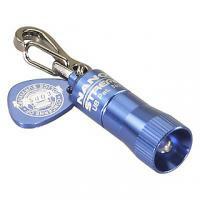 Includes rotary head switch for constant on/off, pocket clip, breakaway lanyard & snap hook.